Diabetes is a term given to a group of medical conditions that occur when the sugar content in a person’s blood is too high. Such a situation occurs when the body’s glucose processing mechanism is broken and hence is unable to work on the sugar generated from the food eaten. High levels of blood sugar are a direct fallout of insulin-related problems in the body. A substance secreted by the liver, insulin is responsible for working on body cells to allow the entry of energy-giving glucose. In Type1 diabetes, the pancreas is errantly targeted by the body’s immune cells, thus hampering their ability to produce sufficient amount of insulin. A lack of insulin then causes a buildup of sugar in the blood as it is not converted into glucose. In Type2 diabetes, on the other hand, the body develops a resistance to the action of insulin. As a result, the effectiveness of insulin reduces considerably and it is, therefore, unable to quickly convert sugar into glucose. While Type1 Diabetes is a disease that has no known, avoidable triggers, Type2 diabetes is linked to the unhealthy lifestyle that people have got accustomed to of late. Obesity that is a direct fallout of lack of exercise and a sedentary lifestyle is one of the most common causes of this condition. When a person is overweight and is consuming too many sugary treats in a day, his or her pancreas are overburdened. A very large amount of insulin is needed to process such enormous quantities of sugar. Over time the pancreas begins to give up and the body starts to develop a resistance to the action of insulin produced. In addition to major lifestyle modifications which can help with weight loss, most diabetics are prescribed anti-diabetic drugs to handle their condition. These drugs are classified under two broad heads – insulinotropic or non-insulinotropic. Metformin, a drug many Type2 diabetics use, positively affects the metabolism of glucose and helps you maintain a better BMI. Another commonly prescribed drug Glyburide heightens the amount of insulin secreted by the pancreas. While most of the drugs prescribed for diabetes may give good results, they are also associated with side-effects like nausea, diarrhea, and cramps. Besides, failure to keep up with the daily dosage also leads to complications like hyperglycemia. To avoid such circumstances, it is always an excellent idea to augment your diabetes medication with natural therapy. One of the most effective natural remedies to fight diabetes involves using curcumin, a yellow polyphenolic pigment found in turmeric. Curcumin is known to possess a rich cache of therapeutic properties and is used by Ayurvedic medics to treat many ailments. 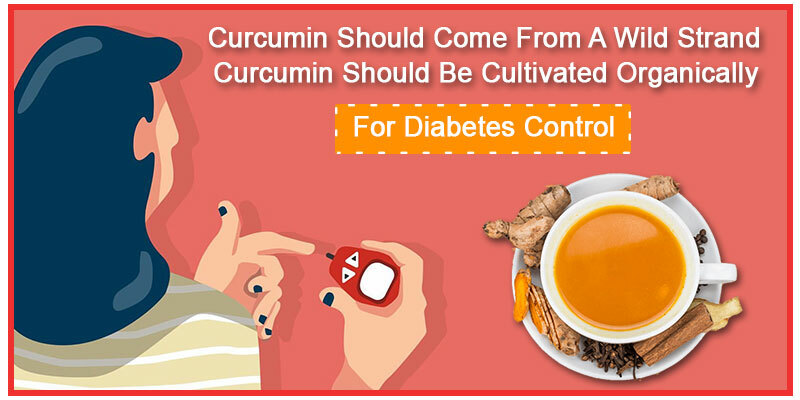 Curcumin combats insulin resistance in Type2 diabetes by inhibiting the accumulation of amyloid in the pancreas. It does this by disturbing the molecule’s alpha helix. As a result, the body responds better to the insulin and a buildup of sugar in the blood is avoided. Curcumin is an excellent immune-modulator. In the case of Type1 diabetes where the immune cells target healthy insulin-producing cells in the pancreas, curcumin has the ability to trigger apoptosis in the errant cells by hiking the endoplasmic reticulum stress response. Curcumin has anti-inflammatory effects as it is able to suppress the action of pro-inflammatory cytokines and enzymes in the body. This helps in toning down the intensity of many diabetes-related responses like diabetic nephropathy, neuropathy, and retinal damage. It should not be genetically modified. 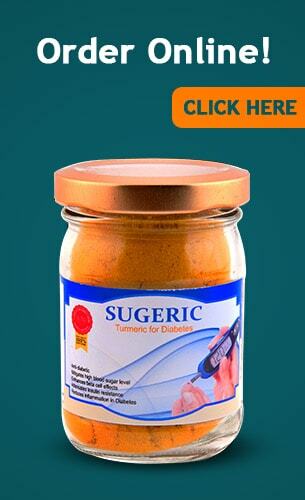 Sugeric has all of the above properties as it is made using organically produced curcumin. It is a perfect remedy for all diabetics as it has no side effects and is pure and adulterant-free.